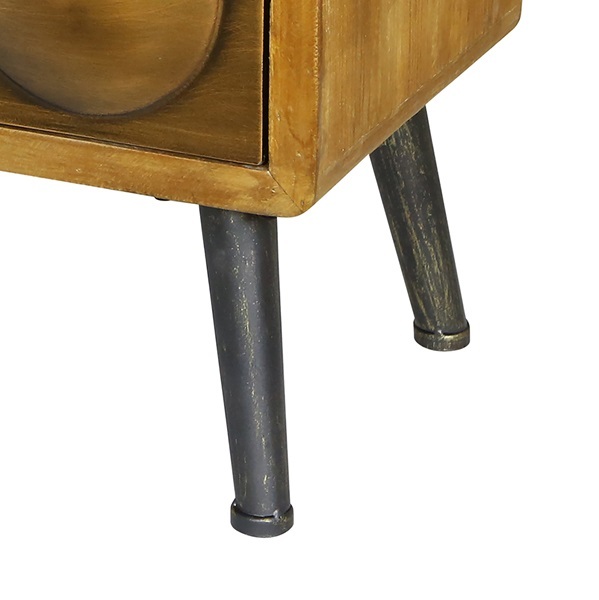 Everyday Industrial. 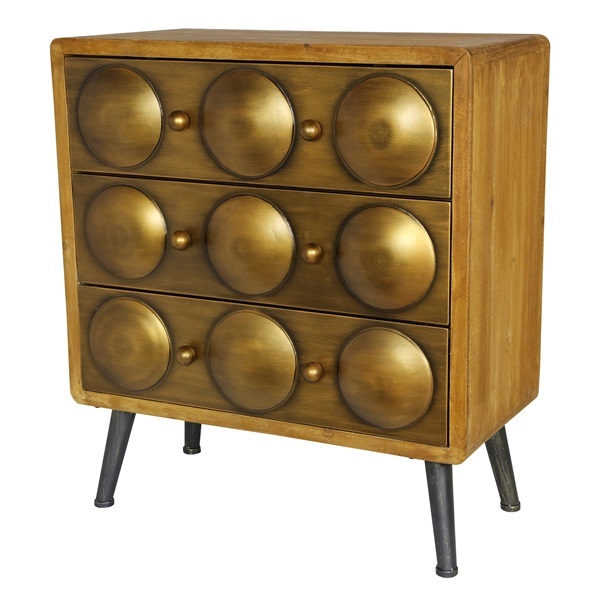 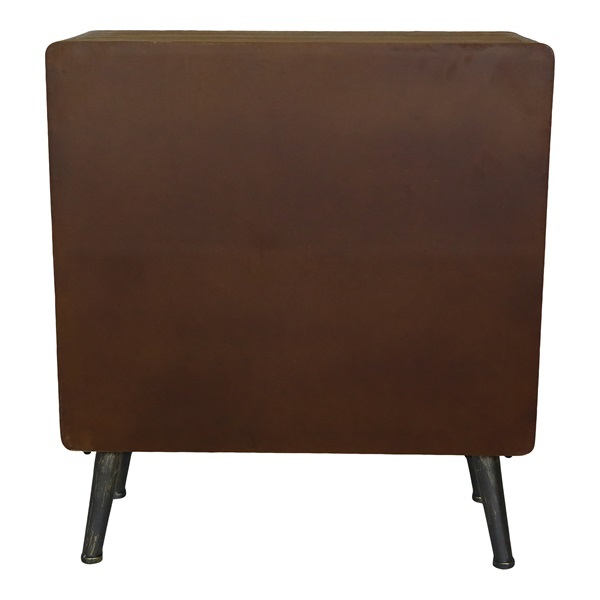 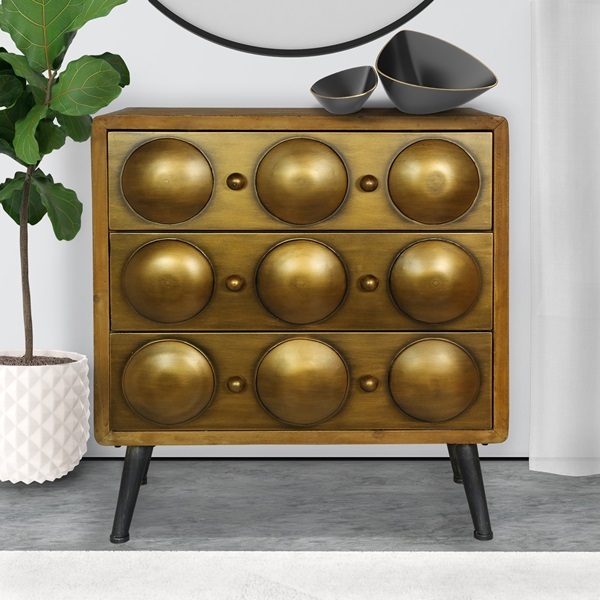 This chest has beautiful mixed material look and mid-century metal-finish leg. 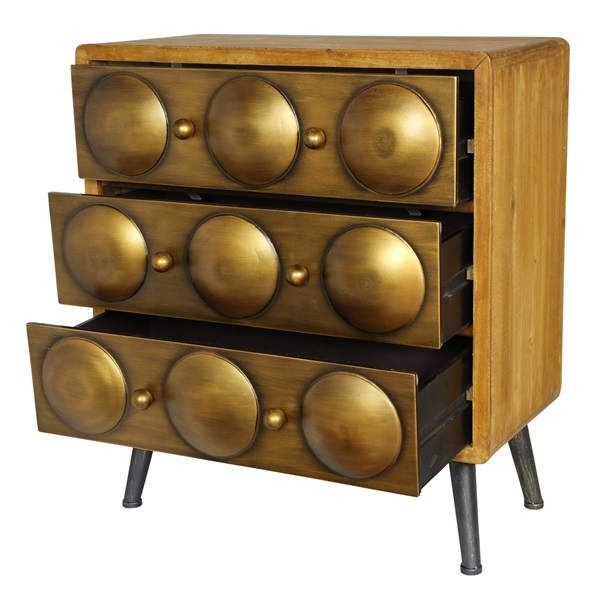 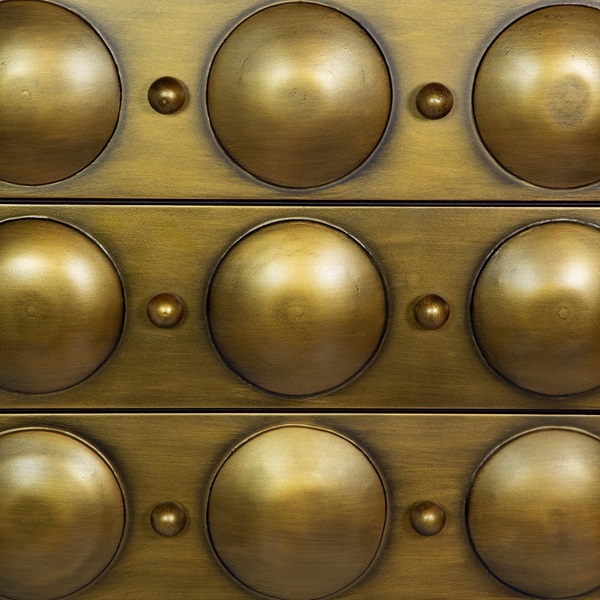 This 3-drawer wood cabinet will add a designer touch to any room. 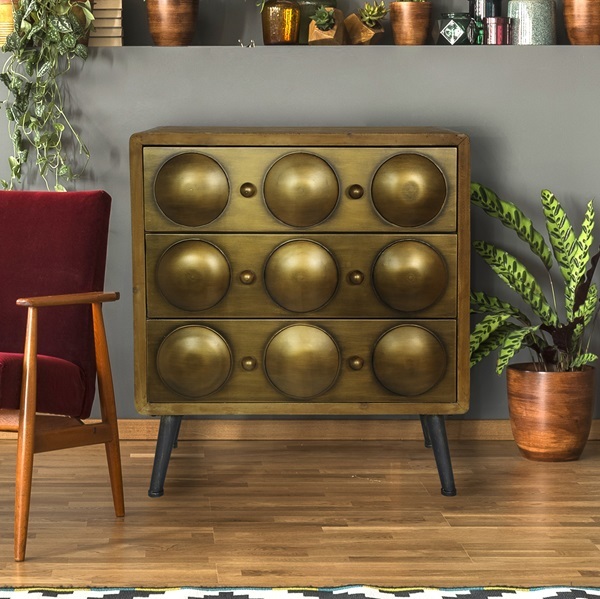 Bring industrial allure to your home with the Ankara 3-Drawer Chest. 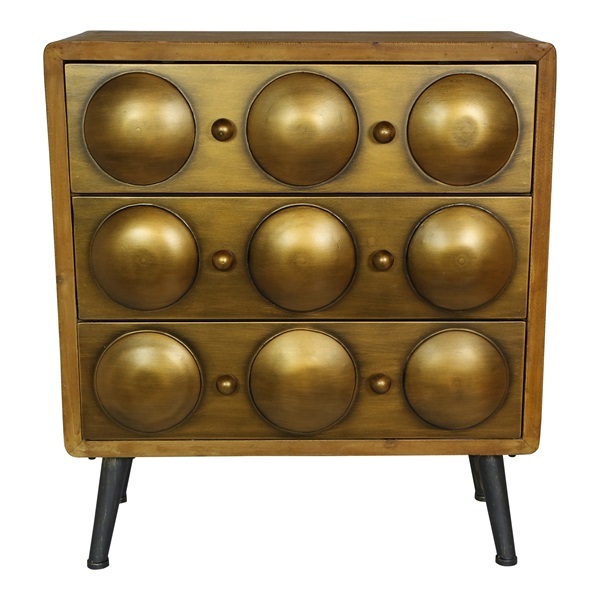 At 28"H, this drawered chest will fit perfectly in a living room, dining room, or breakfast nook. 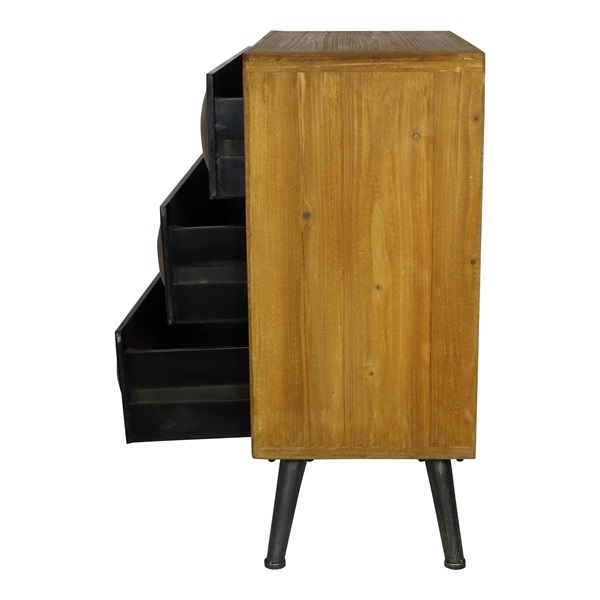 A great storage option for table linens, blankets, and hats & mittens. 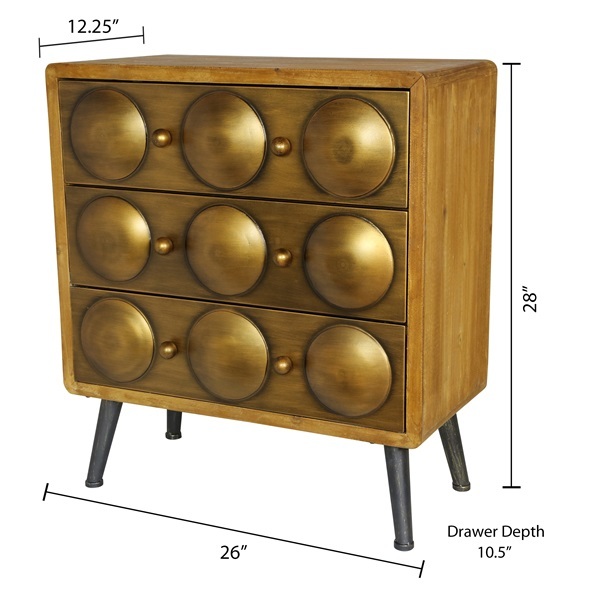 Includes 3 drawers to bring a stylish storage option to your home. Features sturdy construction and crafted from wood, MDF, and metal.